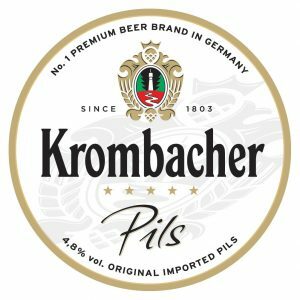 Imported into the UK by Morgenrot since 1987 Krombacher’s continual expansion and ability to maintain its leading position in todays challenging beer market is backed by investment and innovation and, above all, by maintaining quality and authenticity. 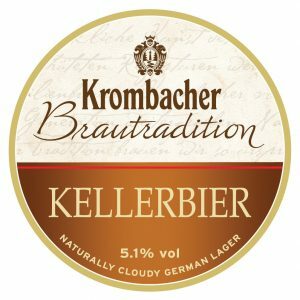 Founded in 1803 in the small town of Krombach, the brewery nestles in the beautiful Siegerland Hills of Westfalia, central Germany. It was sited to take advantage of the local pure Felsquellwasser® (spring water) still used by the brewery today. 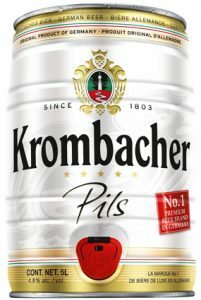 Being under family control Krombacher is the largest privately owned brewery in Germany and remains the best selling brand in the competitive Pilsener sector of Germany’s domestic market. It is also exported to thirty countries worldwide and is a prominent brand throughout Europe where beers of superior taste, quality and character are readily appreciated. Adhering to the strict German beer purity laws, Krombacher is made using traditional brewing methods and the finest natural ingredients: Hallertau hops, malt from summer barley and their own age-old yeast strains. 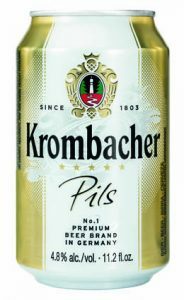 But the renowned factor in Krombacher’s brewing is its use of the crystal clear spring water – soft and low in minerals and ideal for producing the Pilsener style of beer that arrived from Bohemia in the late 19th century. On the Krombacher emblem, the tower is surrounded by green forest, representing Krombacher beer’s singular connection with the countryside – the brewery is situated in its natural surroundings. The source in the lower part of the emblem is a symbol for the unique Felsquellwasser®, from which all Krombacher beers are produced. It is outlined in red, a reference to the iron-rich rocky soil of the Siegerland. The Krombacher emblem is framed by two ears of summer barley, left and right, and by hop cones, above and below.